Delham General Trading Contracting Co. was registered in the year 2002 and subsequently incorporated in 2003. The Company was created through merger of various divisions, and expansion. By virtue of consolidation & mergers, Delham General Trading & Contracting Co., is the parent holding company not only for various divisions but also for erstwhile established smaller companies. The objective of creating the parent holding company was to ensure business synergy & effective utilization of resources for catering to the trading and contracting activities. The industrial & engineering projects Department of “Delham” handle the core activities including bidding for all related Tenders. Under Delham General Trading & Contracting Co., we spread our wings of activities across diverse interest areas ranging from Marine to Cosmetics & skin care. Our Marine Services is geared towards supplying the world class products, providing services and solutions that under grueling compliance and risk management scrutiny delivers its clients with reliable, efficient and cost-effective services. Harmonizing latest market trends, technologies and skills sets we keep exploring new opportunities whilst forging strategic and technical alliances with global business partners and customers. Griffon Hovercraft Limited, UK, of whom we are the agents for Kuwait, Bahrain and Egypt, produces the largest range of hovercrafts available in the world today. Today the hovercrafts used by the Kuwait Coast Guard, has been supplied and maintained by Delham General Trading & Contracting Company. Delham General Trading had another feather on its cap, when it signed the contract to supply four logistics ships to the Kuwaiti Coast Guard. We are the exclusive agents of Saudi Arabia’s Zamil Offshore Services Company in Kuwait and had been instrumental in making this deal possible. Our tie-up with Cougar Power Boats UK, has paved way for delivering and servicing the best sports boats, ribs and patrol craft of the highest pedigree, with proven high performance hulls and an unrivalled ride. These water born sports craft are the ultimate acquisition for the owner who wants more than just another boat. 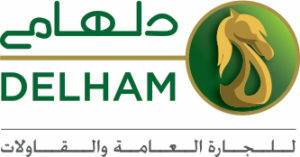 Al Khulifah Group has entered into the field of Training through Delham Training Solutions, which is an Institute for Private Training Utilizing professional Trainers and Consultants in various fields including Management Training, Command and Control, Crisis Management, Security Audit, Military and Police Special Forces Personnel, Coast Guard, Navy, CID and Forensics and Fire Fighters. Management training is also accredited by the ILM (Institute of Leadership Management) and The City and Guilds of London Institute. Our exclusive tie up with Sinai Training Solutions Ltd., UK, helps us in offering a wide range of organizational and business development consultancy and training to the public, private and other sectors. Through Sinai Training Solutions Ltd., Al Khulifah Group meets a clear and growing need for targeted and professional individually tailored organizational development service provision. One of our partners, KINITAS, UK, is an international technology venture with the aim of deploying ground-breaking technologies and processes. Al Khulifa Group’s partnership with SWAUPE INTERNATIONAL was formed to make a positive contribution to the environmental problems faced throughout the world. Along with SWAUPE, Al Khulifa Group provides technologies that have a proven capability in reducing or eliminating environmental problems. Another significant tie-up by Delham General Trading & Contracting Co., is with the Indian origin BioRem Solutions, which is a diversified environment treatment & restoration company providing customised products and turn-key solutions in India, South East Asia and Middle East. The company’s Principals in United States, called Alpha Omega Bioremediation, have decades of experience in delivering innovative solutions that have cleaned up some of the most challenging problems in over dozen countries with track record on thousands of successful projects. Pipeline and Heat Exchanger Cleaning. We are in the business of Scientific and Medical Equipment since 1977. Our ability to take up the challenges in the market, as well as one of the most dependable Annual Maintenance Contractors (AMC), made us a leading supplier and maintenance partner in the field of Scientific and medical equipment. A dedicated group of well qualified and well trained engineers enabled us to have an unparalleled reputation. Our tie-up with FOSS of Denmark has made Delham General Trading & Contracting Co., a household name across Kuwait for sophisticated and reliable equipment. Delham General Trading & Contracting Co., understanding the significance of protecting the police officers and other law enforcement personnel, has entered into a strategic partnership with the UK based JANKEL. JANKEL is a world class specialist in protection systems. Undertaking design, development, prototyping and production of armored vehicles, light tactical vehicles, counter terrorism vehicles and equipment, and customized occupant survivability solutions for military, security, government, aid agencies and NGOs throughout the world. Delham General Trading & Contracting Co., initiate to move into de-mining and clearing explosives, had helped in joining hands with HORIZON, an Indian company, which has over a decade of experience in EOD. Assisted by their expertise, Al Khulifah Group operates with workable and efficient Standard Operating Procedures (SOP) in accordance with International Mine Action Standards (IMAS). Our well laid down Health, Safety and Environment (HSE) procedures are of high standard and are at par with any reputed EOD firms across the globe. Delham General Trading & Contracting Co., has partnered with the Elekta Group LTD, based in the Republic of Serbia, to market and sell STEP FREE Magical Shoe Powder which prevents and eliminates unpleasant odor in a simple way, by eliminating bacteria, fungi, infections … from the footwear.